Featured in our guide to the best Apple device batteries, the one-of-a-kind MacBook external battery pack ChugPlug demonstrated that Lenmar knows how to make unique accessories. 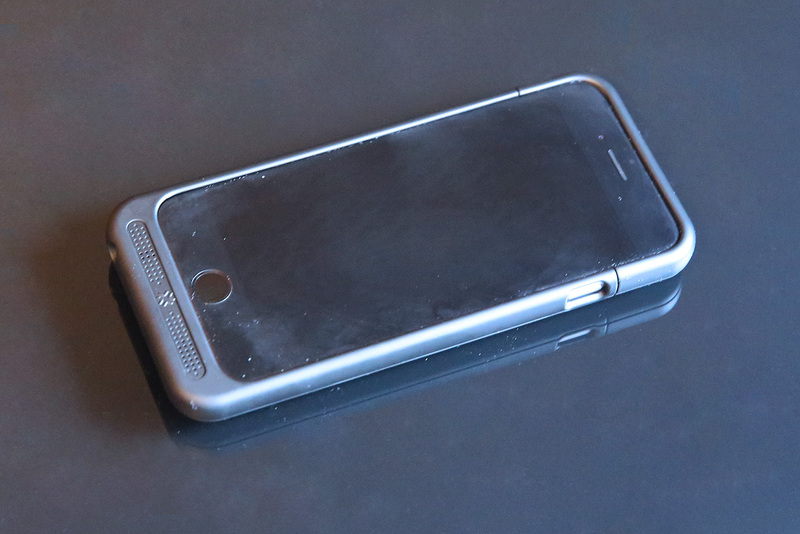 By comparison, Lenmar’s new Maven Battery Case for iPhone 6 ($100) isn’t quite as distinctive. 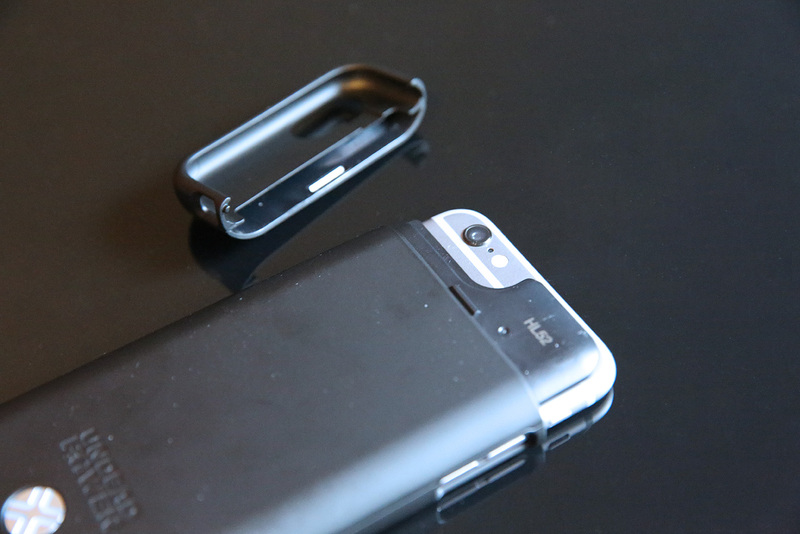 It’s basically a softer-curved and more powerful version of the company’s iPhone 5/5s battery case Meridian, which makes it extremely similar to numerous rival iPhone 6 battery cases I’ve tested from other companies. Like most other iPhone 6 battery cases I’ve tested, Maven ships with both a micro-USB to USB charging cable and a headphone port extender cable; the extender is necessary if you’re hoping to use most of the non-Apple headphones out there. Unusually, Lenmar’s box makes no reference to the Maven name: both the packaging and the case are badged only with the company’s Undead Power marketing slogan. Placing the iPhone inside Maven is simple: pull off the top cap, slide the iPhone on top of the internal Lightning plug, and put the cap back on. Lenmar leaves holes for all of the buttons and the ringer switch, rather than protecting them like Incipio’s offGRID Express, but unlike uNu’s otherwise similar DX-6 nicely tapers the holes rather than leaving them rough around the edges. Maven also has a shorter “chin” below the Home button than most of its competitors, a positive but modest difference that doesn’t impact the case’s pocketability or comfort. A circular combination power button and four-light battery indicator on the back works well for its intended functions. Lenmar’s package promises two things: “110% more charge” from Maven’s 3,000mAh battery, and “amplified sound” from the chin’s speaker holes. While the latter benefit is basically imperceptible, the former is concrete: our testing confirmed that Maven actually hit a 112% recharge, just a little above the promised number. That was accomplished by restoring a dead iPhone 6 to 100% power in 2 hours and 18 minutes, then adding 12% more after the iPhone was partially discharged. Maven’s ability to quickly recharge itself to full capacity using micro-USB is also a nice feature: given the right power adapter or USB port, the case can recharge at 2-Amp speeds. However, it’s limited by the same issue as other Apple-certified cases: even though it can theoretically gulp enough power to recharge itself and the iPhone 6 at the same time, Apple mandates that the case fully recharge the iPhone first, then the battery case, which adds to recharging time. As I’ve tested quite a few iPhone 6 battery cases at this point, Maven strikes me as a good case, but at the wrong price given its competition. 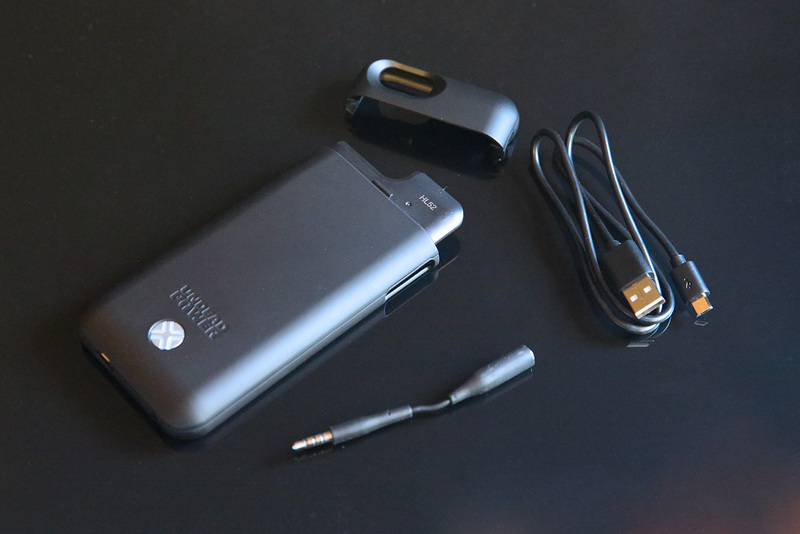 Incipio’s excellent offGRID Express delivers the same power capacity and superior protection for a lower $80 MSRP and much lower $56 street price; most of the other Apple-certified cases I’ve seen are similarly available for less than Maven’s $100 tag. Maven’s only advantages are the modest benefits of its 2-Amp self-recharging speed and slightly smaller size. My advice would be to give this case more serious consideration when it receives the inevitable price drop it will need to become competitive.